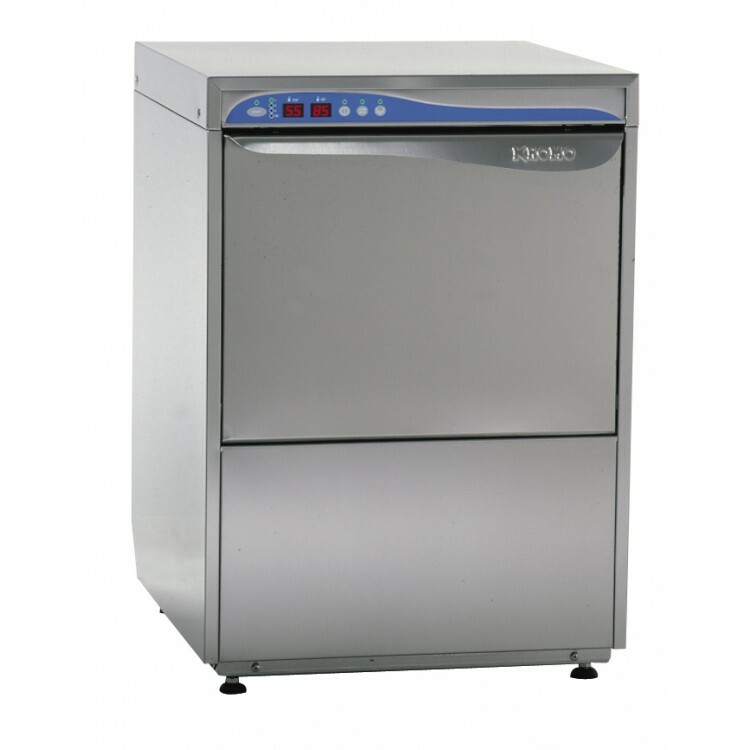 Dishwashers Direct are proud to present the KROMO KP70E undercounter utensil dishwasher. The utensil washers are versatile and allow you to wash glasses, plates, cups, pots and pans. The KP70E is one of the undercounter options so this allows you to utilise small spaces effectively. 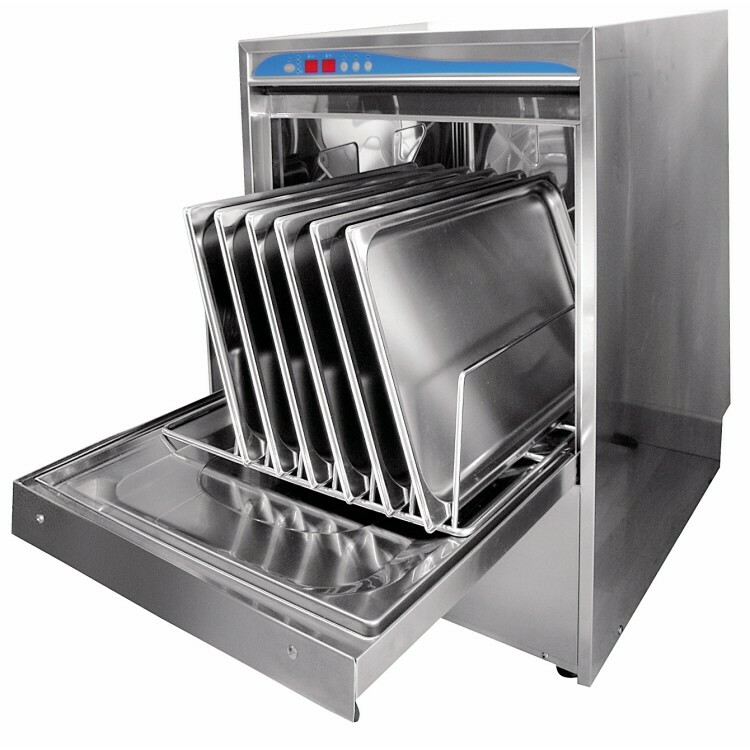 The KROMO KP70E undercounter utensil washer has a double skinned door that allows for quieter operation. With external rinse aid dosing and detergent pump using cold water supply, the KROMO KP70E is built with a triple pump filter and a built in water softener with automatic regeneration cycle. The KP70E with its high capacity in small dimensions has 60 - 300 second wash cycles and will run through 900-1800 plates/glasses per hour. The KROMO KP70E is delivered within 4 weeks and we would recommend that you use our qualified installation service. If you choose to have this dishwasher installed by Dishwashers Direct, we will provide you with 1 year FREE Parts & Labour Warranty. If you choose delivery only, we offer parts only warranty. You can choose to upgrade and extend your warranty upto 3 years including parts and labour.